Key difference: A noun is a word that is used for identifying people, places, objects, events, happenings, etc. A verb is a word used for expressing any action in a sentence. An adjective performs the function of qualifying a noun. Nouns are one of the elementary rules of English grammar. These words are nothing but the names that we use generally. The names of people, objects, places, events, etc. 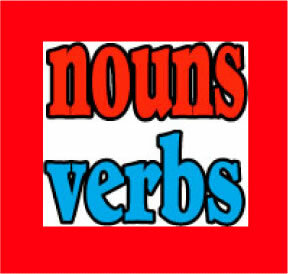 are called as nouns in terms of grammar. Nouns are chiefly of two types: Common and Proper. Common nouns are more or less the names which we use in our daily life. Proper nouns can be the names of persons, historic sites, religions, religious texts, etc. Verbs are often the most important part of a sentence. These are the action words in a phrase, clause or a sentence. Any word which is used to describe any action in a sentence can be classified as a verb. Almost every sentence in the English language contains at least one verb in it. 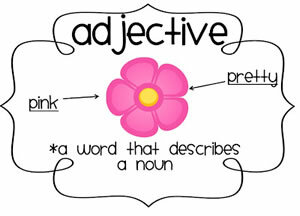 An adjective is a word that is used to describe the quality of a noun. Many times, it is required that a noun be further defined in the sentence that it appears in. In such a case, an adjective is the best possible word which can be used to do so. Using an adjective will give leverage to the noun and lend context to the sentence as well. Knowing about a noun, a verb and an adjective can be much easier, by learning about their usage in a sentence. Dave is a brilliant student. In the above sentence, ‘Dave’ is our noun. The noun in this sentence tells us the person involved in it, who is Dave. Whereas, the verb ‘is’ describes the action that Dave performed, which was being a student. Also, the adjective ‘brilliant’ tells us about Dave's quality, which is being brilliant as a student. Thus, from this example we come to know the purpose of these words and also about what they stand for. We are taught by a great teacher. That dog barked all night long. Steve was promoted by his boss. Mom cooked us a delicious meal. He is sincere at work. Gavin is brilliant at football. Mary wore he blue dress. A noun is a word that is used for identifying people, places, objects, events, happenings, etc. A verb is a word used for expressing any action in a sentence. An adjective performs the function of qualifying a noun. Common, proper, abstract, collective, etc. Modal, auxiliary, transitive, intransitive, etc. Possessive, descriptive, demonstrative, interrogative, etc. Henry braved the sultry heat.